NOTE: 30cm of rain fell on the slopes of The Great Western Tiers in a few hours on 14th January 2011. Several bridges and roads were washed away. Access to Meander Falls and Bastion Cascades was cut off. The bridges have now been replaced snd Smoko Road has also been repaired. See the map. 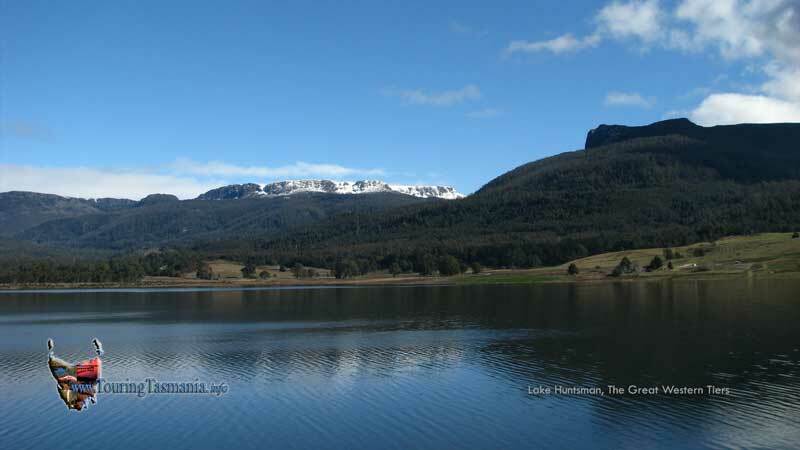 Deloraine and Mole Creek are excellent locations as a base to explore the Great Western Tiers around Lake Rowallan. The Mole Creek area is riddled with limestone caves. The road through Mole Creek is an alternative route to Cradle Mountain and the West Coast. Mole Creek also provides access to The Walls of Jerusalem. Deloraine is the gateway to Liffey Falls, Meander Falls, Mother Cummings Peak, Higgs Track and Quamby Bluff. Mole Creek provides access to The Walls of Jerusalem National Park, Arm River Track, Lee's Paddocks, Lake McKenzie and Devil's Gullet as well as the Lemonthyme Valley. The Meander Forest Reserve provides a backdrop for the magnificent new Lake Huntsman irrigation dam. Snow covered Ironstone Mountain and Bastion Bluff. Mother Cummings Peak is on the right. There is a very strong case for the area in the picture to become a National Park. 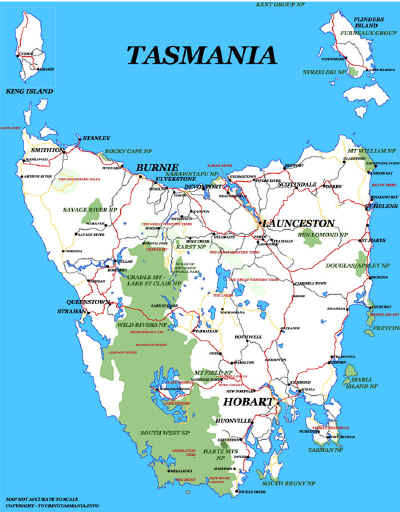 Arguably the best forest walks in Tasmania spoilt by the degradation of the areas just outside the reserve by clearfelling. If it must be taken, it may make more sense to replace the timber with a mixed forest preserving the areas original look. On the way to Deloraine from Launceston there is a detour to Liffey Falls. The falls can be accessed via Bracknell. Turn off the Bass Highway about 10 kilometres west of Launceston - about a 3/4 hour drive. There is a well appointed reserve. A pretty rainforest drive continues up the Tiers from Liffey and again down into the gorge. The road is very narrow and care needs to be taken. Unfortunately there is considerable logging in the area detracting from its beauty. Most of the forests flanking the Tiers are essentially being clear felled. The falls can also be accessed from Deloraine via the Lake Highway. This is an easier drive. Further up the Lake Hwy is Pine Lake. Only a short drive on a very good road. Well worth the trip.